This reference works provides readers with a global, biographical, historical, topical and biblical understanding of the origins, development and contemporary expressions of Christian spirituality. It offers a discerning orientation to the wealth of ecumenical resources available while still highlighting the distinct heritage and affirming the core grace-centered values of classic evangelical spirituality. The volume is a unique and valuable resource for pastors, church and ministry leaders, mentors, counselors, teachers and scholars. 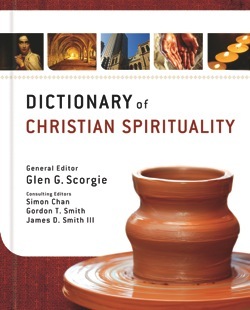 We were delighted when this Dictionary recently received the Christian Book Award (formerly the Gold Medallion Awards) for 2012 in the reference work category (one of 8 categories). 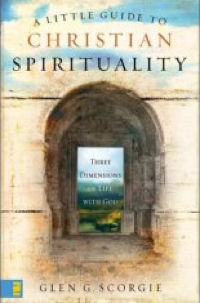 This Little Guide is a substantive yet accessible introduction to the important topic of Christian spirituality. It traces the timeless contours of the Christian life by means of a simple yet comprehensive model with three dimensions: a relational dimension (Christ with us), a transformational dimension (Christ in us), and a vocational dimension (Christ through us). It is not meant to replace any of the devotional classics or a single one of the many helpful contemporary treatments of Christian spirituality. It is a companion volume to the rest—a modest-sized but reliable guide to the whole field. 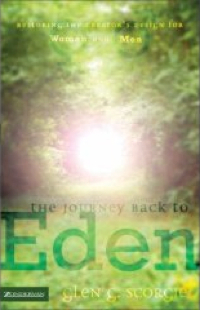 Journey Back to Eden contains subversive truth—a biblical case for the full equality of women and men. 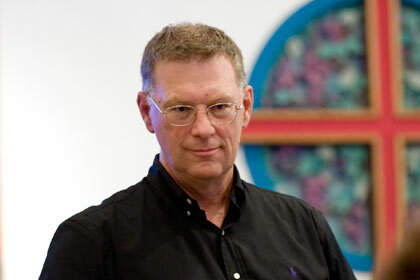 It is a call for a paradigm shift in the way many Christians still view men and women. It traces across the pages of Scripture the trajectory of the Spirit—the overall direction the Holy Spirit is taking as he slowly but surely brings us back to the personal wholeness and relational harmony which have eluded men and women since the fall. It demonstrates that gender equality is not a concession to be cleverly wrestled from Scripture, but rather the goal toward which its inspired contents actually point. 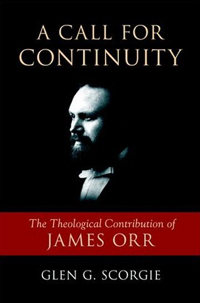 A Call for Continuity is a theological biography of James Orr (1844-1913), one of the leading defenders of evangelical orthodoxy in the turbulent years of the late-nineteenth and early twentieth centuries. Beyond his own church and nation, this formidable Scottish theologian, apologist and polemicist came to exercise a significant influence in North America. His impeccable scholarship and encyclopedic knowledge of theology and religion made him a member of a small but distinguished group (which also included James Denney and B. B. Warfield) of capable opponents to modern theology in its germinal period. 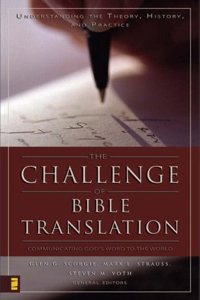 The Challenge of Bible Translation is a significant collection of essays by leading scholars, linguists and practitioners in the specialized field of Bible translation. It presents the principles, methods, processes, and intricacies of translating the Bible into language that communicates clearly, accurately, and powerfully to readers of many countries and cultures. The contributors are united in their commitment to the disciplined art of conveying original meanings across linguistic borders in faithful ways. In three parts, this compendium gives scholars, students, and interested Bible readers an unprecedented grasp of (1) the theory, (2) the history, and (3) the practice of Bible translation.